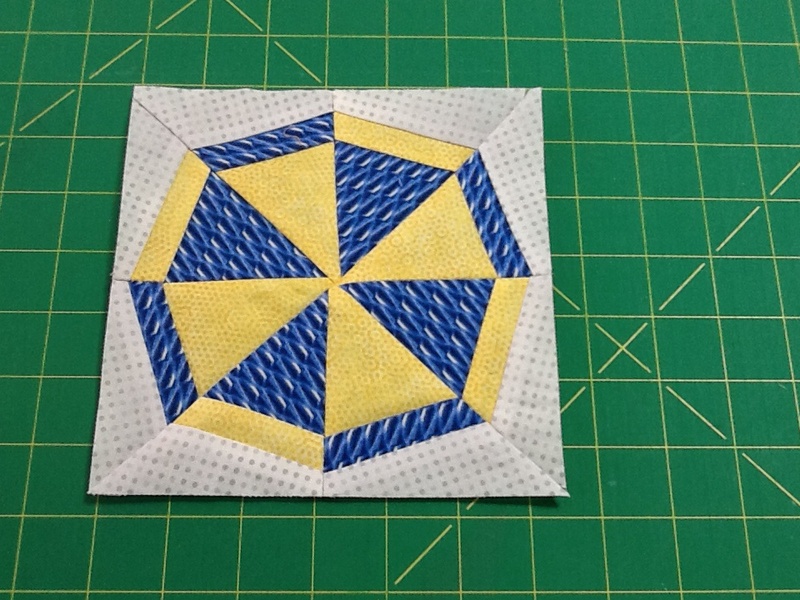 Since my friend is a beginning quilter, and she lives in Europe, I started a different blog that has all my tutorials for the Women of the Bible quilt: True Blue Quilters. 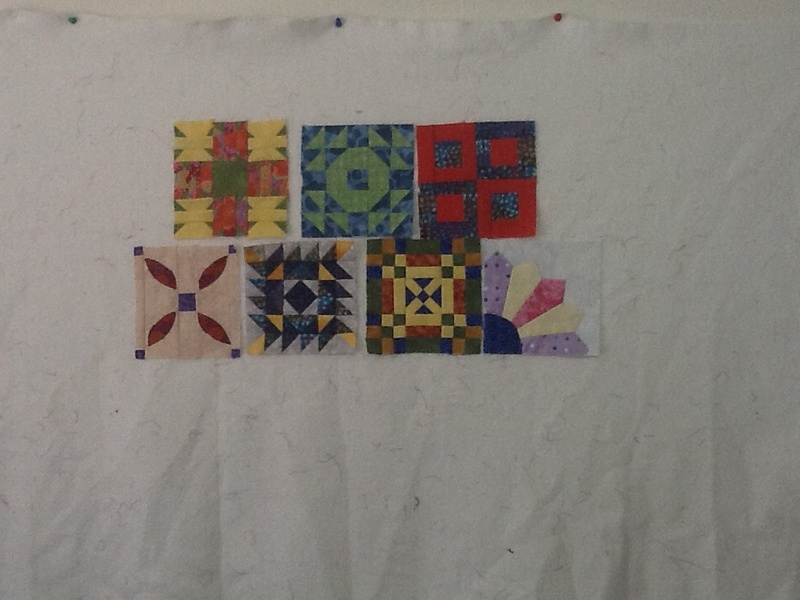 There are 52 blocks in the quilt, and we just finished block 49 – Mary Magdelene. Each block is 6″ finished. Since we are nearing the end, I am thinking of layout options. 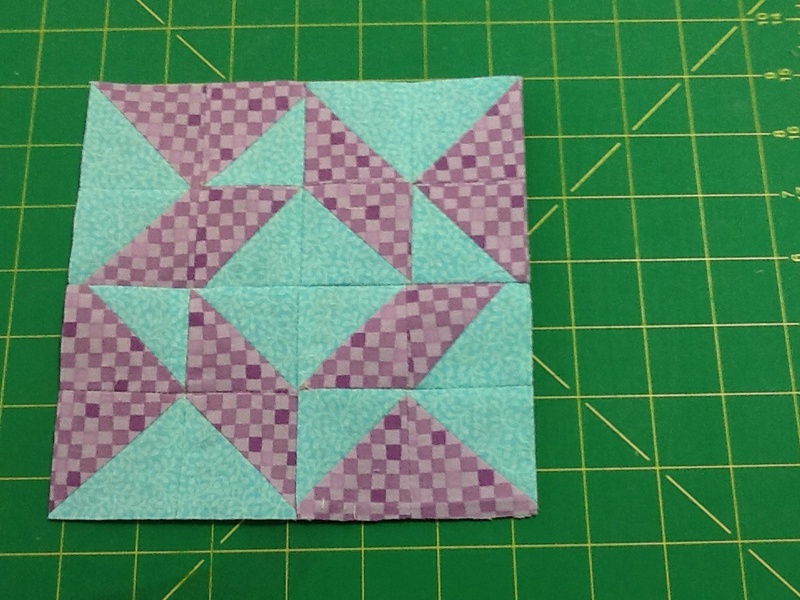 The original is longer and narrower that I like, so I am thinking of a 6×8 grid, with last 4 blocks in the corners. 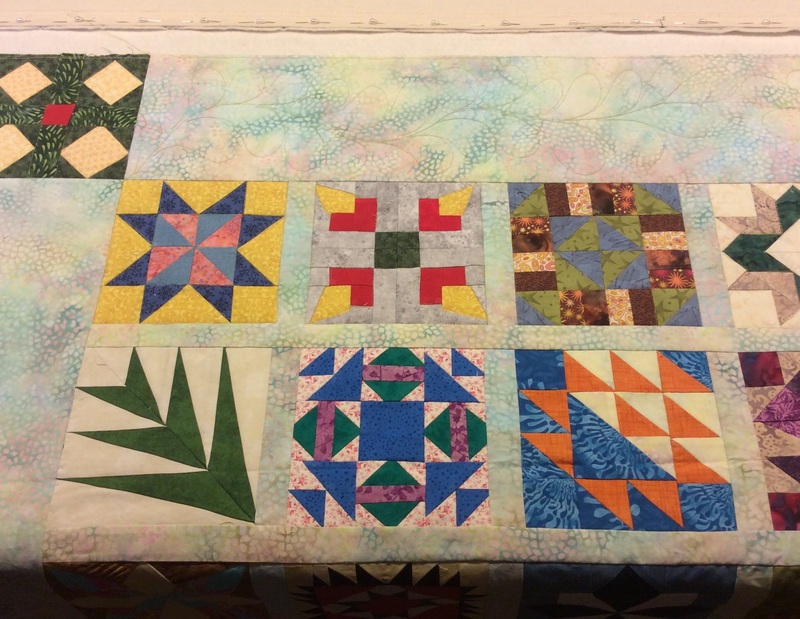 Some quilters have put the name of each block in the sashing…I don’t have an embroidery machine, maybe I will stitch the names as I am quilting. Do you join quilt-alongs? 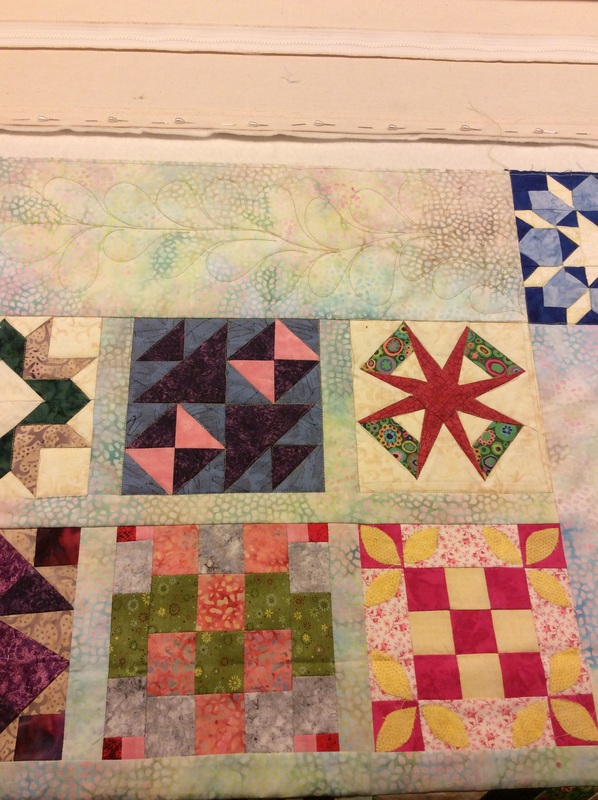 I am a solitary quilter most of the time so I love hearing about projects from my online circle of quilting buddies. 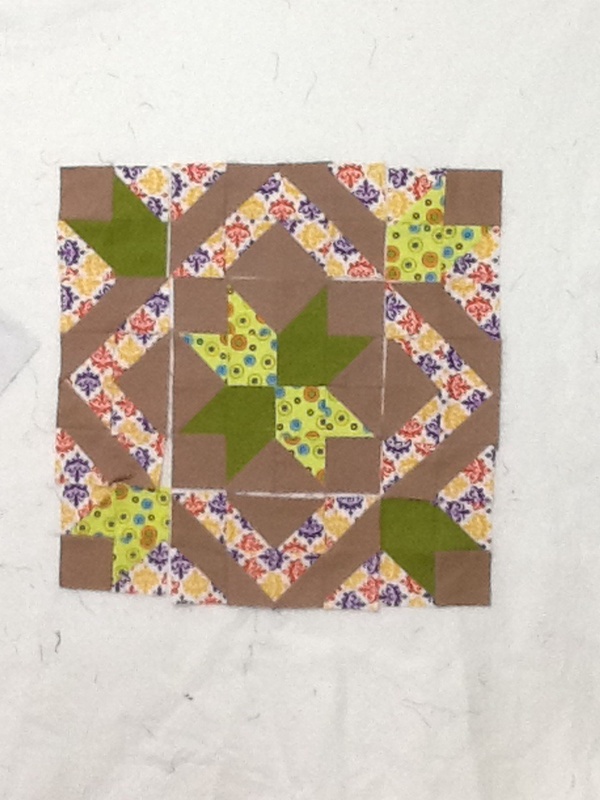 It’s Spring Break, so I have time to quilt, and to blog about it! Will wonders ever cease?!? First up is the Star Light Star Bright QAL. The weekly assignments were the center star, the side chevrons, and the corner units. I have 3 blocks assembled to that stage. To enter the prize drawing, your top must be complete by April 2nd. 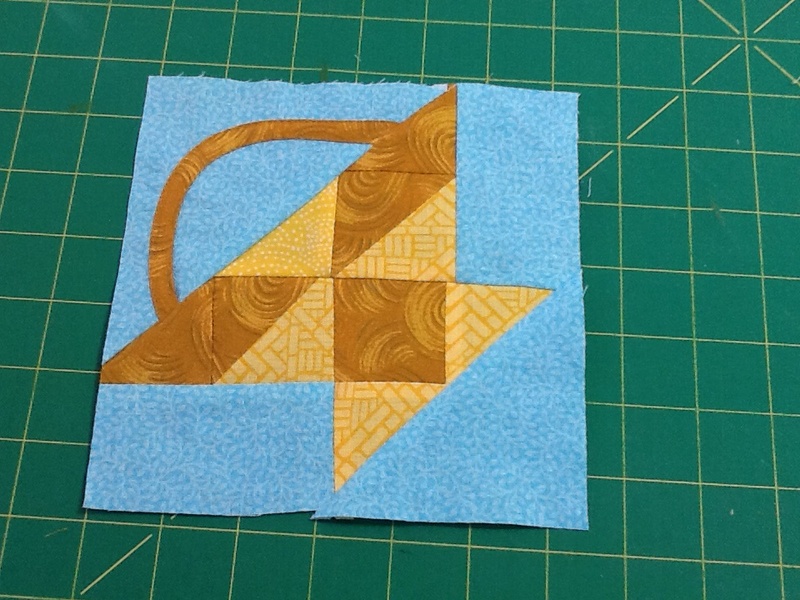 I don’t think I will make it by that deadline, but it is a pretty block, and I am happy with the tan background. Each week, I post a tutorial for the Women of the Bible Quilt on my other blog: True Blue Quilters. 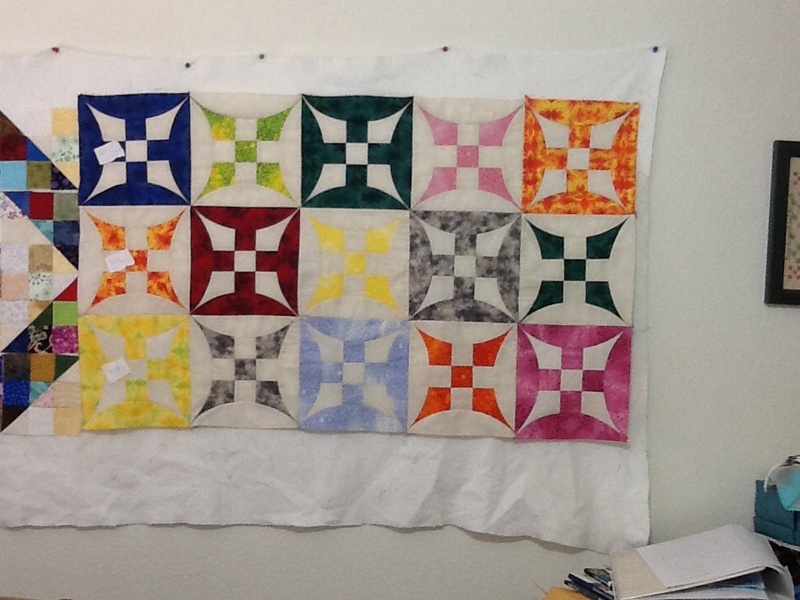 There is a yahoo group for the quilt, and links to the daily devotional as well. The blocks shown here are a bread basket for Abigail, a wheel of fortune block for the woman of Endor, and a whirlpool for Bathsheba. This is week 23! Hard to believe we are almost halfway through this year-long project…time flies. I say “we” because I talked my college roommate into doing this project with me long distance – she lives in Hungary and I am in the U.S.! Another fun project is nearing completion. This is the Glorified Nine Patch from a class with John Flynn. 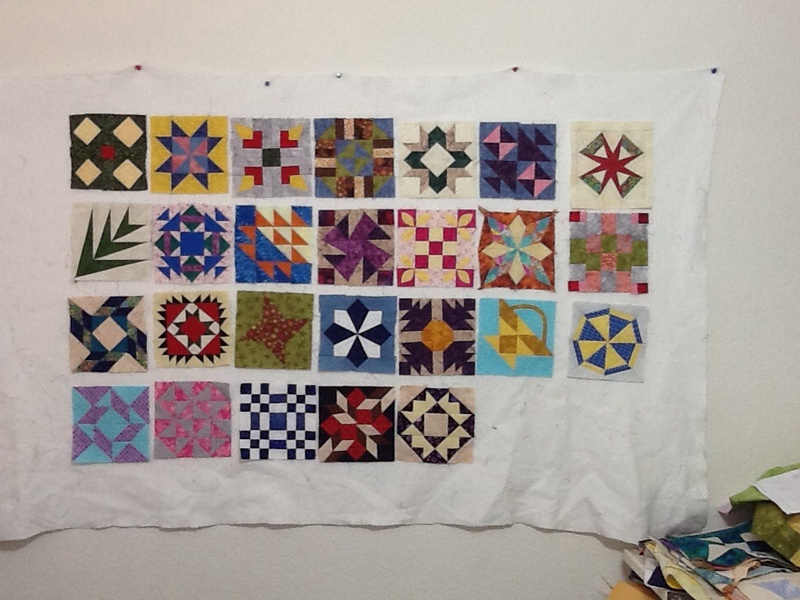 I am finally sewing the rows together and thinking about quilting designs. I have a recipient in mind, with a potential presentation date at the end of March. Let’s hope I get a lot of quilting done this week!